Well folks, Gamblin Artist's Colors has introduced a new kind of oil paint into the market. Disclaimer: While I do not work for Gamblin Artist's Colors, or represent the company in any way, I have known the founder Robert Gamblin for a long time–over 26 years to be precise. I also know Scott Gellatly, the company product manager, and I consider both to be good friends. I have used various Gamblin products since the company was founded due to the consistent high-quality and standardized working properties across product lines. Their manufacturing is also local to me so I can walk into their factory anytime I wish and raise a technical question. I also value their willingness to openly share what goes into their products, and how they are made. Gamblin sets the bar in terms of disclosure. The Short and Long of it . . .
FastMatte is an interesting paint and offers much to the oil painter who is willing to exploit its unique working properties. FastMatte is a ‘short’ paint– meaning it tends to break a stroke abruptly towards the end of the pull, and it is ideally suited for broken color effects or scumbling. (see illustrations below) Conversely, a ‘long’ paint draws out like a piece of taffy and at the end of a stroke it tends to trail off more gently. But don’t let my technical definition imply a good or bad thing in your mind. Long and short strokes are analogous to the musical terms largo and staccato. (as in, slow and dignified vs short and crisp.) 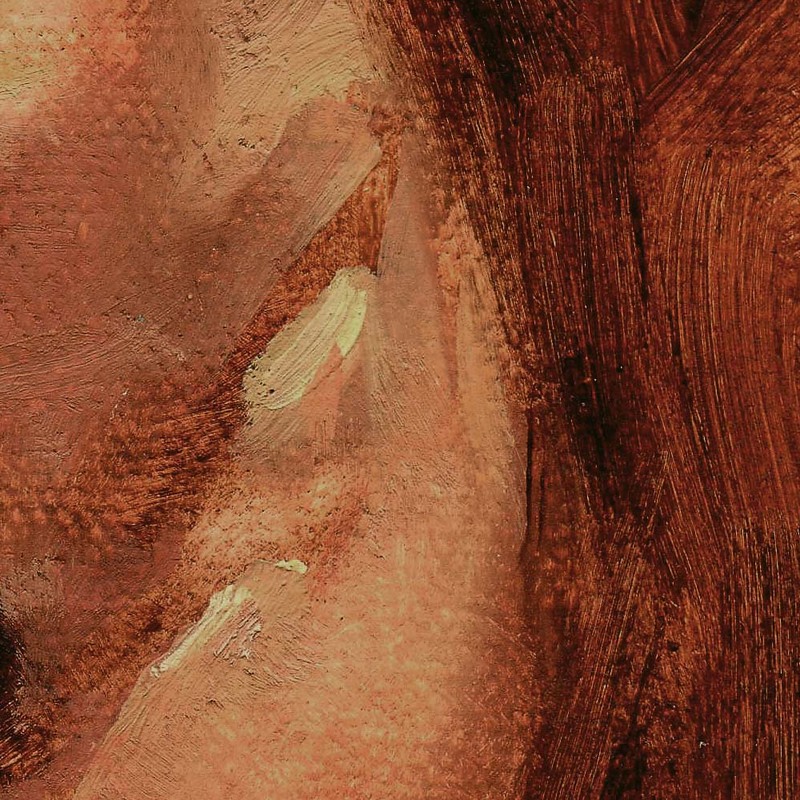 Both types of strokes have a place in a painter’s toolbox and when they are used together intelligently they can create an interesting contrast. Essentially, FastMatte differs from traditional oil paint in two basic ways: the binder is a soy-based alkyd and is not linseed, walnut, or safflower oil in origin. The second way the paint is unique is that the colorant or pigment used in the paint has a significantly larger particle size than what is commonly mulled into artist-grade oil colors. But why use a soy-based alkyd binder and a larger pigment particle size? First the 'Fast' . . .
FastMatte is aptly named. It has been developed to produce a quick drying under-painting for the artist who is interested in time-honored working methods. 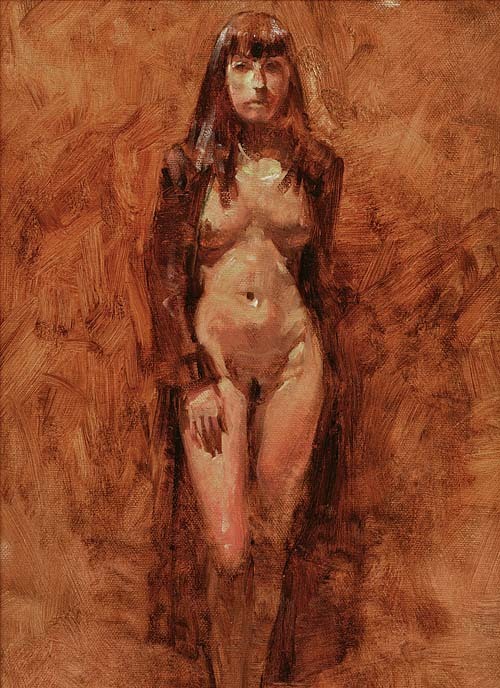 Techniques which involve the laying down of semi-transparent colors over many sessions, or glazing transparent colors over a fully developed grisaille – with the aforementioned top work being executed using traditional oils – perhaps modified by various mediums or 'special' secret sauces of the Old Masters. Or perhaps not. And second, the 'Matte' . . . It is the atypical large particle size of the colorant itself that imparts the matte finish to the paint. Nothing else is added to achieve it and when surface is dry to the touch it looks very much like the velvet of a fine gouache painting. It is the matte surface that should interest the traditional painter because it provides great tooth for a physical bond between layers, and reduces the likelihood of future delaminating from the layers below. A real and present concern for any artists who chooses to create complicated paint films. But hey, I'm not a traditionalist in my methods . 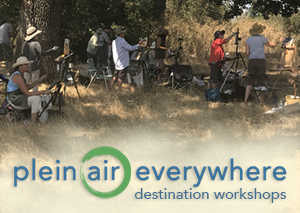 . .
I’m mostly an alla prima plein air painter, a field artist, so FastMatte’s original purpose–its raison d’etre–was not the reason I found it to be of interest. I saw the potential for something else. As a plein air painter I'm always working under a time limit. I normally restrict myself to a single 3 or 4 hour session per painting, sometimes less, with the occasional touch-up every now and then after I return to my studio. That’s about the same amount of time traditional oils will remain fresh and open without me messing around with the basic chemistry of the paint, and this is also about the same amount of time natural light will hold steady before things change too much for me to continue. These two 'clocks' encourage me to work rapidly and not fiddle-faddle as I work. So the idea of being able to quickly block in my painting, and then further develop it by overpainting my block-in sounded appealing. Without offering too much detail (no pun intended) I found this potential confirmed by the FastMatte paint. I could accomplish more inside the same amount of time. 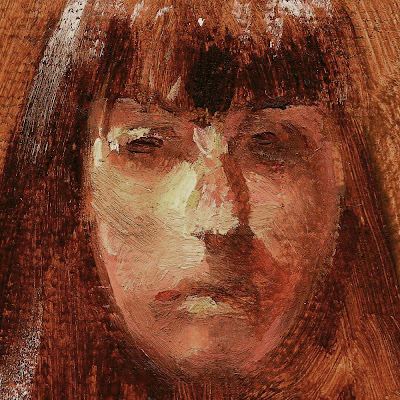 Plus, I found I could scumble FastMatte over a surface previously covered by a thin veil of (alkyd) paint and solvent – a standard approach to blocking in alla prima work. 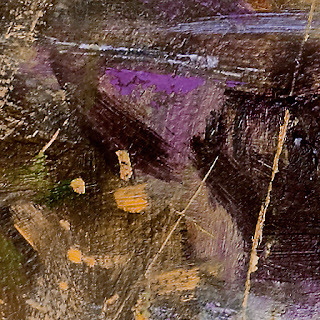 "Detail of Caroline's Creek", from mid-left of painting. Extreme close up of detail, showing alla prima execution of the FastMatte paint. Note the crisp edgework is maintained even though the paint is going down onto wet passages. So the overriding issue becomes more about creating and maintaining soft edgework than it does making hard breaks and crisp edges. I also found that FastMatte was capable of being dry-brushed over top of a thicker wet layer. (see above) This can be a difficult thing to achieve when working with traditional oils without the addition of third-party adulterants such as beeswax, or harsh driers like siccatives, or simply waiting for the original layer of paint to dry. (None of which are good for the longevity of a painting.) And, this ability to immediately dry-brush comes in handy when there is a need to convey the texture of a natural object, say, the edge along a tuff of grass, or a shadow line cast across the crumbling bark of a tree. But a having a paint this receptive to dry-brushing comes at a cost. Since FastMatte itself is so short you can't expect to effectively push one color into another the way you might with a longer paint. (This is FastMatte’s second similarity to gouache, the first and strongest being its matte finish.) 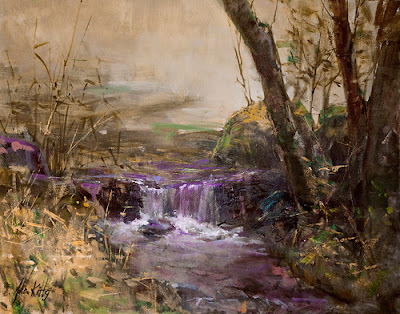 Pushing color into color, or wet-into-wet, is only achievable via a ‘longer’ paint, so if you like throwing down wet-into-wet effects then you will have to accomplished them on top of the FastMatte using traditional oils. Frankly, I found switching over to a linseed oil paint mid-session not to be a issue, and it felt very natural when I did so. In the creek painting above I may have gone back and forth a couple of times without noticing. Once that painting was finished and 'dry' it became difficult to discern which passages were largely accomplished with the FastMatte and which ones weren't. My conclusion? Both paints play nicely together. The above figure study was painted using four of Gamblin's FastMatte colors: Transparent Earth Red, Chromatic Black, Hansa Yellow Medium, and Titanium White. 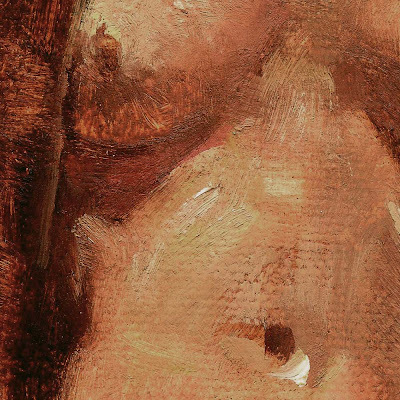 Check out the closeups below for brushwork which may be difficult to make out in the primary image. 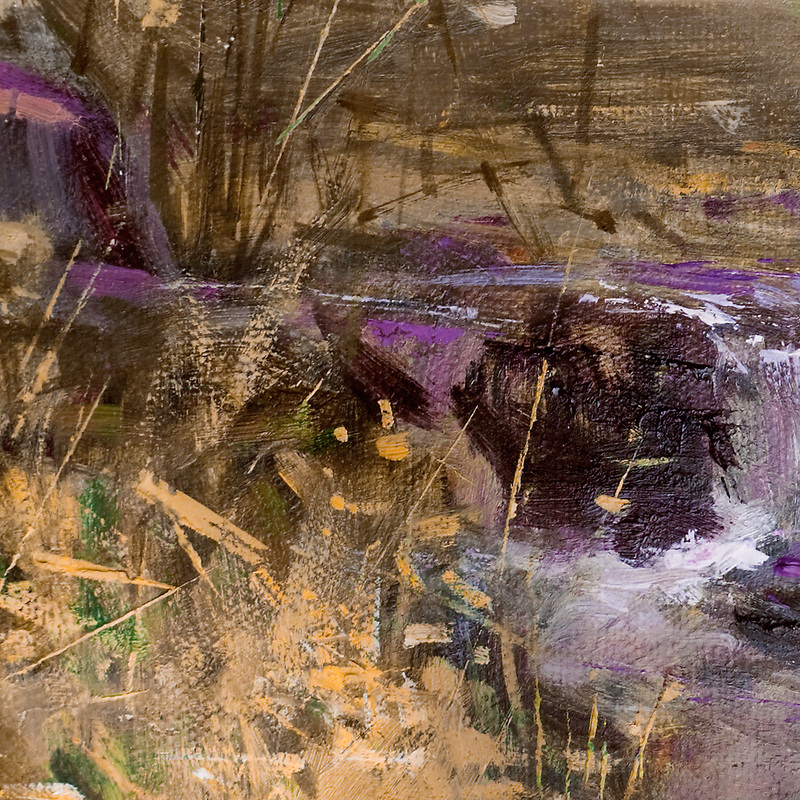 In conjunction with Gamblin's FastMatte colors, I used a 1:1 medium of a walnut alkyd and Gamsol to lay in the washes. A combination of round and flat stiff hog hair brushes were used throughout the session. Any 'detail' is derived from making a mark with a # 4 or larger bristle, and that means that anything smaller is a striations resulting from the paint itself and how it handles. None of it comes from any concerted hatching or stroking. The detail images below show how the atypically large particle size increases the thixotropic properties of the paint. (An idiosyncratic property of the Old Master's oil paint mostly lost when paint-making shifted from the hand-mulled to the machine rolled commercial process we depend upon today.) The larger particles are moved and jostled about by the hog hair as it moves and then they immediately drop to the painting support when the brush is lifted. There is zero flow out after each stroke. A mere few minutes later, the initial layer will no longer lift as easily allowing a more agressive application of paint on top. This is different from how most other traditional oils work, although you do find variances in this characteristic between all the paint manufacturers. Less than three hours was invested into this painting but the build-up and layering feels as though several sessions have occurred. A close-up showing a thin-to-thick application of paint. The area under the model's right breast is completely transparent and you can see the white of the painting support shining through. 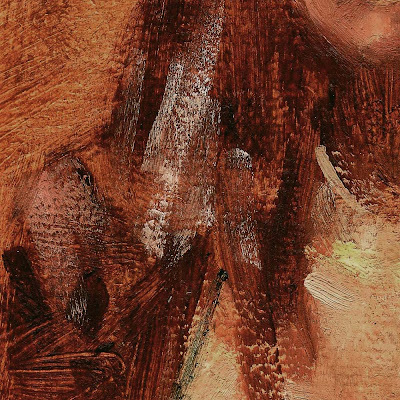 An example of dragging a lighter-valued paint across a dark mass of hair late in the session. Zero integration, other than an optical flickering between the two. Monet would have loved this paint for his haystack and cathedral series. Another transparent vs opaque passage. This shows FastMatte's tendency for a short break, a crisp edge along a stroke, and striations. (Velasquez would love this paint as well. He was known to add calcite or marble dust to his paint to achieve a similar effect.) FastMatte is a draftperson's, or gouache painter's dream. Note the transparency found in the striations to the right of the hip. It mimics the effects of what is now difficult-to-obtain and dangerous-to-cook copal varnish once venerated by artists of the 19th century. Created by just the combination of the thixotropic FastMatte and walnut alkyd/Gamsol medium. Gamblin Oil Colors has started something in the art-materials industry with this paint and it may turn out to be revolutionary in its impact. It has been a while since anyone has introduced an alkyd-based artist color and to the best of my recollection, all previous attempts have seemed wimpy in pigment load, thin in mixing range, and generally an unsatisfying paint to push around when compared to the quality and plasticity of a well-made traditional oil. 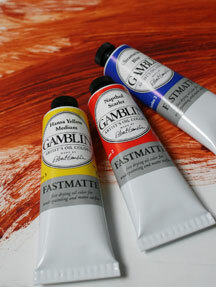 But I feel I can now recommend an alkyd oil paint and it is Gamblin's FastMatte Color. The fact it was brought to market by some friends is irrelevant. I can encourage other artists to enjoy and exploit its unique properties. I can play with them myself. But don't try to force this paint to do something it won't, or the experience will just make you cranky. As a wise guy once told me, "Dude, don't fight forces, use them". That is as true in the world of fine art as it is in the world of martial arts. Rest assured that Gamblin's FastMatte colors will not behave like those awful water-soluble oils which first appeared during the last decade. FastMatte will perform more like its traditional counterpart than it will anything else, without the weird gumminess or milky quality of that water-soluble excremental goo. And, as I've already noted, the FastMatte paint will play nicely when it is intermingled with traditional oils. You can blend them all together in any combination with little concern, other than possibly ending up with a unexpected variation in your surface finish. (And actually, if handled with restraint and control, different finishes on the same painting could become part of the artistic vocabulary as well.) You can incorporate any oil-appropriate painting medium. If you do end up with a finish you don't like, take note of what you did to make it happen and do something different. Experiment. Or, wait the customary 6-12 months and hit the surface with the picture varnish of your choice. Or, apply your picture varnish sooner since it is being applied to an alkyd film that dried more rapidly anyway. If you are worried, call Gamblin's excellent tech support for advice on drying and varnishing times. It's all good. My only complaint about the FastMatte line is going to sound like a whine: "I waaaaaaant more colors on the shelf!" I know I'm being sniveling and pathetic when I say this because Gamblin has provided us with a full-strength chromatic palette capable of mixing any hue an painter might want or need. But more colors choices would be great. Sometimes I just don't feel like mixing an ochre . . .
We painters are never satisfied, eh? Always asking the Colormen for more. "Gamblin Artist's Colors" and "FastMatte" are registered trademarked properties of their respective owners. All other names, trademarks, copyrights, mentioned in this or any other review on this blog should be considered the same. Something for you to look into.Another site states that the alkyds have proven to be so problematic the commercial paint manufacturers[the gallon paint guys]are giving them up. Poor water mixables,they do get bashed a lot,don't they. Really liked the painting -Caroline's Creek. Is walnut alkyd really a walnut oil based alkyd............you know who. Brent, I can't speak to what you say with any great authority, other than to say that alkyds are understood to create a stronger paint film than traditional drying oils. (Besides, with regards to your vague aspersion, sometimes a manufacturer will drop a product due to cost, difficulty to produce, or non-acceptance in the market.) But hey, if you have more than an unclear insinuation to offer I am all ears. I would certainly appreciate you sharing the website you reference. And water-soluables are what they are. Neither oil in capability nor acrylic in convenience and a pain in the *ss to paint with. I'm still struggling over the idea that the oil binder in WSOP is essentially turned into a soap to make it miscible in water. That can't create a strong paint film. And the WSOP manufacturers don't make any claims that their products will last. Another case of the dog that did not bark. As for the walnut/alkyd I mentioned in this post, as I said, I'll give the manufacturer a call later this week to find out more about his product, eh? For you personally. In any case, good luck with your porcelain artwork. Nicely presented. There is no better way to convince someone of a good thing than by demonstration, and yours was excellent. Interesting colour idea with the purple stream in “Caroline’s Creek”, looks great, but I particularly like the brush work and your explanations as to how the new paint fit into your application strategy. I am impressed enough to go out and purchase some of those paints . . . do some of my own experimenting. Thanks, Robert. Let me now what you think if the paint after trying it out. Always interested in what other artists do with materials and knowing you work, I think FastMatte might be something you like. Also, feel free to post a link to your website here so others can see your work. Many of my readers will enjoy your work. Thomas, I was googling around to see work by artists using fastmatte. imagine my delight at stumbling across your work! I wanted to see how far the ( somewhat) limited palette could be pushed. I love the figurative piece. Well done! Im going out tomorrow to use the fast mattes and am pretty thrilled.Thanks for all the info. Good to know Jodi. From what I know of your work, from painting next to you last year, I think you'll like what FastMatte can do. Let me know what your thoughts are as you work with it. Happy to read your comment. Both of our concerns will be addressed shortly. It was painted with the new FastMatte color and nothing else. Except for OMS, of course, and not even much of that. Not even any medium. Id restricted myself to see what the paint alone could do. Those white tubes under the painting are 150 ml in size. But the image does not include the entire FastMatte product line. There are more tubes sitting on the floor at my feet. I will post a more detailed review of the newly extended product line soon and my finished painting, with close ups, will appear in it. Nice article. FYI fast matte is the go to oils for abstract art using the cold wax method. I've considered using oils, but didn't like the smell or long drying time. Thanks for your informative post. How do these smell? 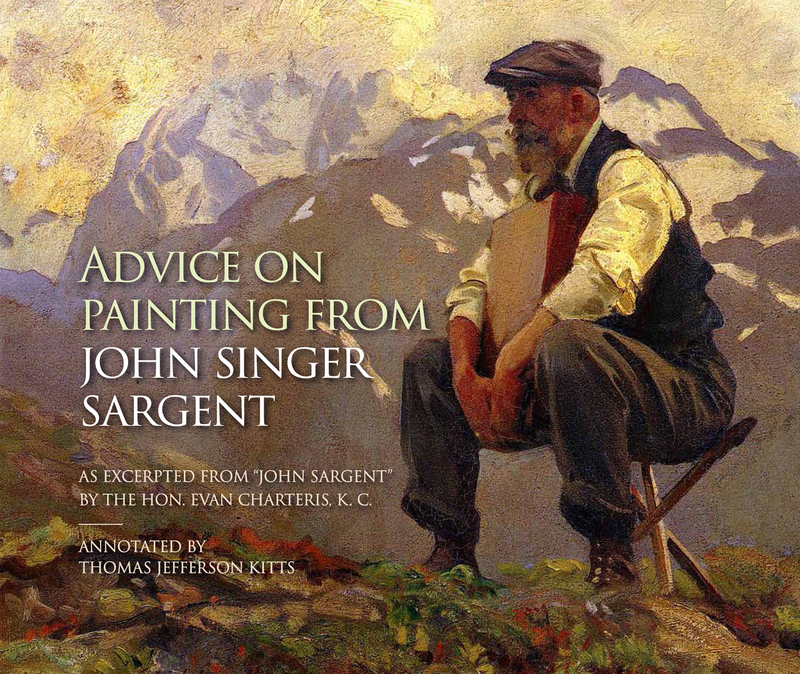 "Do you paint with any solvent like turpentine, mineral spirits, or a store-bought painting medium? If so then the unpleasant smell is likely coming from that rather the oil paint itself. In truth, almost all brands of oil paint (and I can currently think of only one brand that should be excluded from this statement) uses only pigments and a drying oil such as linseed, walnut, or poppy oil, or safflower, none of which contain volatiles you need to concern yourself about. So if health is an issue then it isn't the paint. However, to answer your question about FastMatte, the binding oil does contain alkyd in the binder – the alkyd being derived from a soy oil – but I don't believe that the combination contains any perceptible solvent. But in truth, the FM will smell just like normal oil paint since it is using linseed oil. If the smell is a health issue then try using just the FM with linseed oil for a medium. That may offer you the least amount of concern. I recently won a prize of a good set of FastMatte by Gamblin (though it does have the Transparent Earth Red so I will order this) so I googled FastMatte and came across your blog. I read your post on the FastMatte paints and the traveling post with interest since I am joining a painting group in Tuscany next Spring. The question I have is: why are you taking regular oils (except for the white) rather than the FM? You gave a very positive review of the FM but I presume that they are still limited as far as you are concerned (not the colors just the techniques needed). Of course, I need to try them out the FM now. My last distance Painting trip I used Cobra Water Based plus the Gamblin solvent free gel. And using a palette knife primarily I did some decent small Hawaii paintings. But I will compare these two sets of paints with some studies. Thank you so much for all the valuable information you have on your blogs. FastMatte is a very 'short' oil paint and if used on its own it acts and looks very much like gouache paint. This is fine, if you want that kind of handling and finish, but if you also like to push color into wet color (a defining characteristic of alla prima work) then combining the FM colors with traditional oils will offer a wider range of options in the field. When I travel, I am concerned with balancing the number of colors and mediums I carry between the need for rapid drying, and I have found that bringing traditional paint and a tube of FastMatte white is a good compromise. That way I can adjust both the drying rate of my sketches and the handling characteristics of different passages as needed. Good luck on your trip. Thanks for posting to the blog.